“Before, I had a small house, with a small shop. They were both severely damaged by the 2015 earthquake. Medair and CDS helped me to demolish my old house and reconstruct a new, earthquake resilient one. Life is much better now: my new shop is bigger and my monthly income has increased”. Kumari’s story is just one out of the dozens of stories I heard during my recent visit to Nepal. 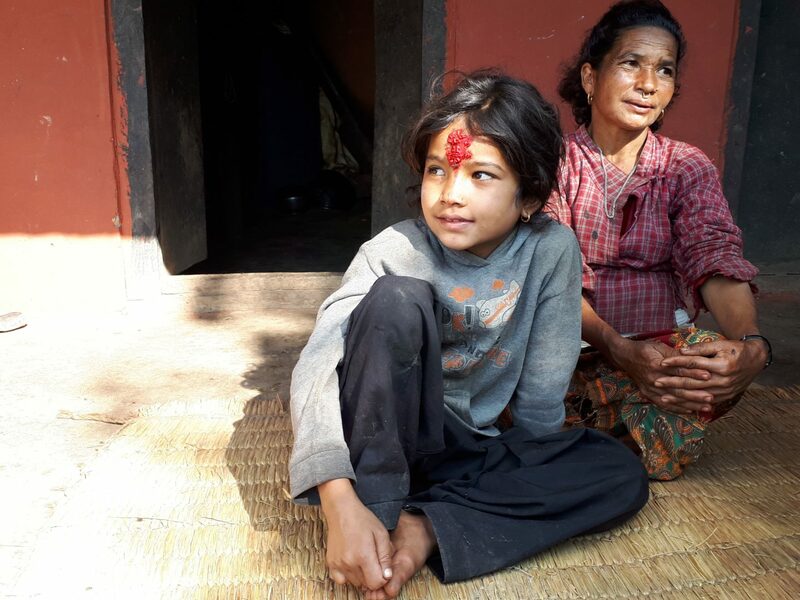 The physical and psychological trauma left by the earthquakes is still very much present in minds of all Nepali people: “After the earthquake, the whole country was mourning,” said Kripa, one of Medair’s engineers. But, if you listen to people now, they all agree on one thing: life is better now than before the earthquake. Assisting people in countries that have been affected by natural disasters is not only a matter of helping people to get back on their feet. It is first and foremost an ongoing effort to help people “build back better”. In Nepal, this means building safer and healthier houses, but also training people on disaster risk reduction and earthquake safety. “I sleep in my new house, but I keep on using my old house for cooking. Every time I enter the old house, my little daughter Asmita tells me ‘This is not safe, we should cook in the new house. This is what they told me at school’”. Asmita is only 10 years old, but she belongs to a new generation, more aware of risks. “Building back better” is not only about construction – it is contributing to reducing the risks posed by future disasters. If I have to choose one lesson Asmita and the other people I met taught me, this would be it: out of a disaster, something good can happen. A disaster can even change the social organisation of communities and remind people of the power of solidarity. 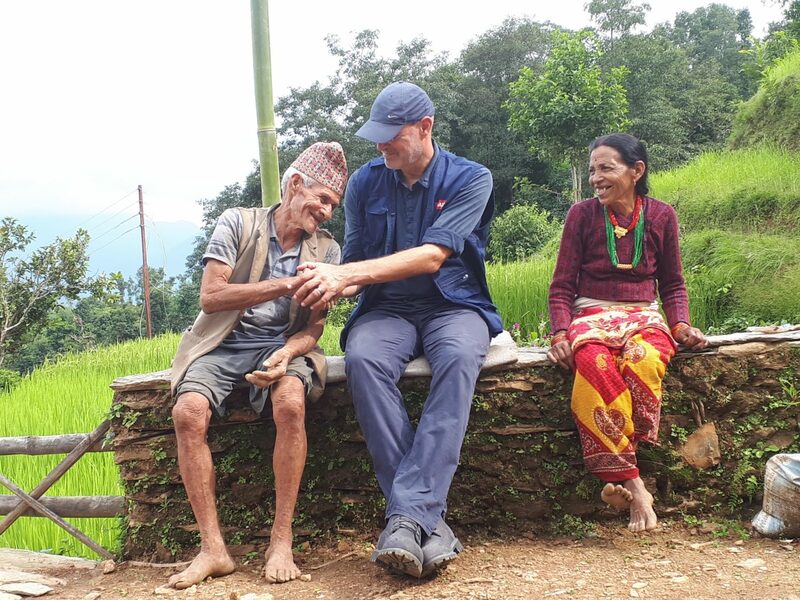 “In rural areas of Nepal”, says Madan, one of Medair’s engineers, “the caste system is still present. Before the earthquake, it was impossible for Dalit – the lower caste, what we call the untouchable – to mix with people from other castes or build houses for them. However, after the earthquake, people started realising that they needed to help each other. When you are hungry, or you need labour force, you begin to realise that everyone has a role to play.” Now Dalit masons are helping other communities in building new earthquake resilient houses. Only 15 months have passed by since the start of Medair’s reconstruction project in July 2016. But so many things have changed within the community. What people have built, with the support of Medair and its local partner NGO, is much more than a house. It’s a home, a place where they feel safe, surrounded by their relatives and the people they love. “I wanted something colourful, something joyful,” says Dur Mahat shaking my hand and showing the green and red wall of his brand new home. “This place is the symbol of a new, peaceful life, for me and my wife”.